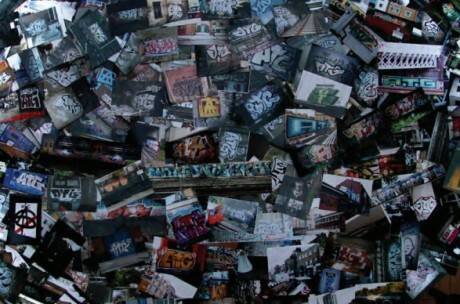 In December 2010, a group of artists got together to work on a project painting London’s skyline. The aim was to inspire people and remind them of their voice. 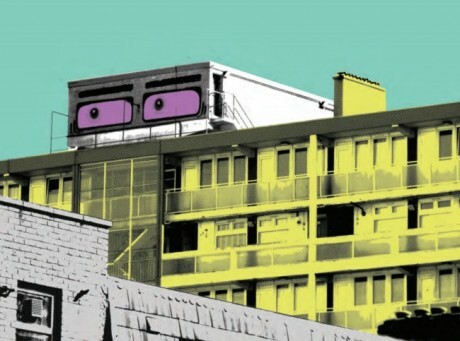 During the time where communities across the UK felt increasingly neglected and let down by the system, the roofs of many council blocks across London were used as a platform to communicate with the people in the form of painted eyes and a series of uplifting slogans. The work of ATG is to serve as a reminder to the public that they still have control over their surroundings even though we live in the most surveyed city on the planet. There’s still room to take risks, to think outside the box, change the world around you. 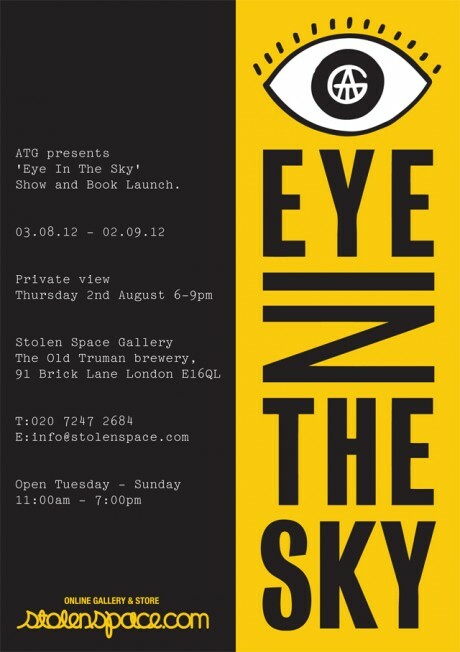 ATG, together with Stolen Space present an exhibition which also acts as a launch for a limited edition book. Each book is signed and numbered with a hand screen printed cover. 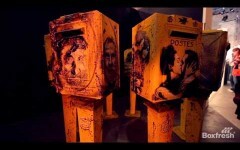 Limited edition screen prints, originals and photographic work will also be on display. Peep the promo video below for a taster of what you can expect on the night. Eye In The Sky Teaser from Ivan Ogilvie on Vimeo.